These mittins are easy to pop on to the push chair. Keeps your hands nice and warm. In the winter months i would highly recommend. Great handmuff. Such a great invention, so ideal for us mums that walk everyone especially in the cold. So easy to use and apply. It keeps your hands really warm and it's so soft. Would definitely recommend this product it's so handy for keeping you warm and easy to get your hands out if you need to deal with your child so much easier than if you were wearing gloves. Brilliant for those winter chills. Great for those winter days/nights especially that you don't have to forever remove gloves from hands while out and about to do things. I saw that my friend had one of these so had to get it. It was a bit confusing putting it on but once I put it on, it kept my hands toasty warm. Very convenient for winter. It can easily be taken off when it gets warmer. It’s like a nice soft fleece material inside. Its machine washable and sooo warm, with having a winter baby it's a must have! It gets in the way when holding down my silvercross to the point where I take it off and will only use of were going on a big walk not to be used all the time as it does get frustrating, a darker fur inside would be better too so it doesn't look so grubby if its touched the boot in and out the car! This does exactly as you would expect. This keeps my hands lovely and warm on multiple school runs. Took me a little longer to figure out how to put it on. Love this product, it does exactly as you would expect, it keeps my hands lovely and warm in thoes winter months on my multiple school run. It doesn't affect your ability to push the buggy. Perfect. It did take me a little while to figure out how to put it on the pram properly but once I figured it out it's easy enough. To be honest while we were in Sweden living the cold at times was extreme. I had similar item and see mom of small kid I was really happy and satisfied. No losing out glove pie filling packets full one in the market. Inm definitely going to check this item as we are looking forward for bigger family. Many things we had to leave in Sweden due to movement. But I'm sure it would last s looking as you live and for all kids of family to be. Making outside walks perfect with ease. Great for in the winter months when its cold to keep your hands warm and snug but its not waterproof which is a shame especially when its raining or snowing, so i brought a can of waterproofer from the shoe shop apply a few times and its waterproof then. This was the best thing I bought during the winter months. My hands become painful when they get cold and this definitely helped to prevent that. I would prefer it to be water proof on the outside but other than that, I think it is a brilliant accessory and definitely a must have! Putting it together to start with. I love this, it is one of the best things to use. It's easy to use, because when wearing gloves you are always taking then off to sort baby out or to access/use your phone. I can not really find a negative for this. I do find that your hands can get a bit sweaty but that's the same for all gloves. I did find it hard to put together to start with. I put it on my buggy the wrong way round. Ì love it.. always had problem with cold hand in winter months now os gone ... like the quality its fits most prams.. so definitely worth money. I was sick of taking my gloves on and off every two minutes so invested in a hand muff for myself. Amazing!!!!!!! Well worth the money. Fit any pram with a bar handle. Highly recommend! This is good for you hand.protect you hand in cold winter term and keep you warm.its easy to use and clean.should have one this for the clod weather. I loved this hand warmer. 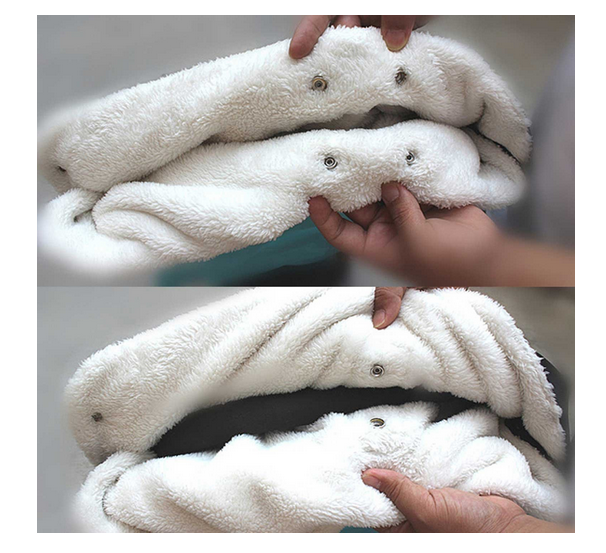 It is super soft and furry on the inside and waterproof on the outside. Adapts to fit most prams and pushchairs with just a simple popper system. This hand muff is by far one of my favourite accessories to own! I always suffer with really cold hands no matter how warm the weather is! This hand muff was perfect for the school run, walk to the shop or holidays ! I managed to find it for less than £10 on Amazon! And great quality ! I've told so many mummy friends and they have also agreed with me!! I still use it now as it so easy to take on and off. Its very awkward to wash. Overall this is good product. Like how its universal so you can get your moneys worth. They do keep your hands warm in the winter months! I bought one of these for the winter,does the job alot better than gloves. Also both my boys love pushing when it's on the handle bar. no regrets at all. love it, will be buying a couple more ready for this winter! I purchased the hand muff and it is fab. Expecially in the winter colder months. It is easy to pull hands in and out on pocket. It can be slippy at times wheb turning corners but i would recommend it as you will notice the heat when you need it. 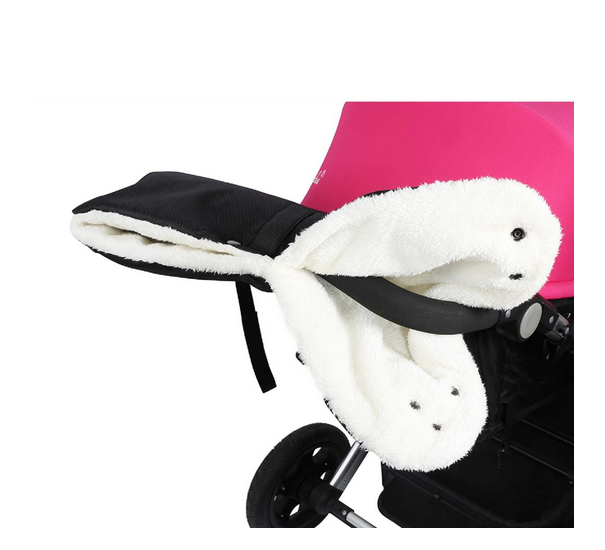 The stroller hand muff from INTIPAL is made of super soft fleece lining and waterproof cloth outside. This pushchair gloves is simple to install and keep parents hands warm. 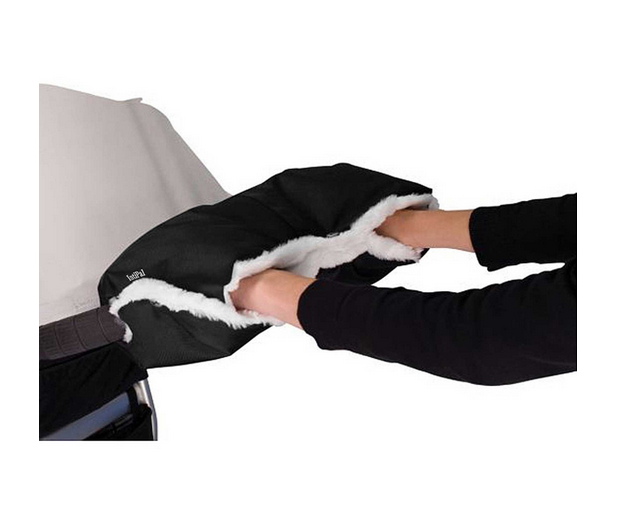 The pushchair hand muff fits most pushchairs with a single handle. Perfect pram hand gloves for cold winter walks.